Flowers give a fresh and bright perspective so this years Spring-Summer collection is filled with floral designs from dresses to bags and of course … shoes! New York fashion designer Betsey Johnson won’t be left behind. 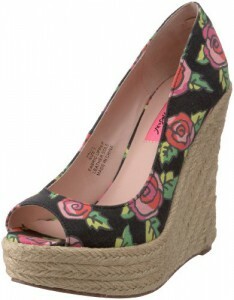 Behold the Betsey Johnson Vall Open-Toe Espadrille. Wedges are always fun to wear. The fact that these are espadrilles (with cushioned insole) makes it comfy too and those two combined is heaven for any shoe lover out there! Let Betsey Johnson's flirty floral designs give a fresh and bright touch your wardrobe! I have to say the White/Multi version looks a lit more feminine and and flirty. The Black/Multi however, is more chic and fun bit has a toughie feel. 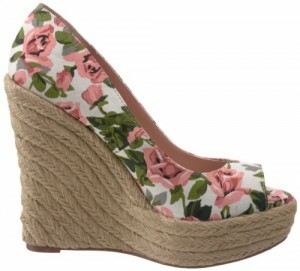 This baby has a 5-inch jute-covered heel but the 1 1/2 inch mid sole platform makes it comfy enough for you to run in. Trust me I’ve tried. lol. 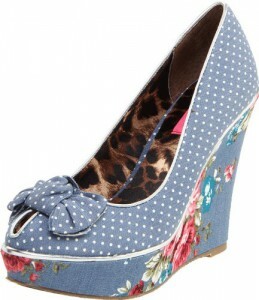 Betsey Johnson shoes usually comes a bit big so you should order it about half an inch than your normal size. 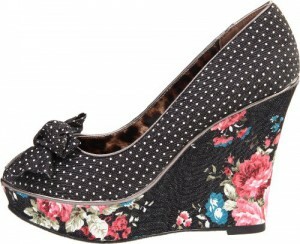 Buy this Betsey Johnson shoe here!